Planning ahead helps a lot. The best retirement savers are more than four times as likely to have given “a great deal” of thought about their retirement age, their lifestyle during their golden years, their future health-care costs and their financial goals than the worst savers, according to a new survey by Voya Financial, which scored more than 1,000 full-time workers on how prepared they were for retirement. Create a budget. Seems obvious, but 65 percent of the highest scoring workers had a budget compared with 19 percent of the lowest-scoring savers. “This attention to detail here allows for a more predictable glide path through the retirement years,” said George Clough, vice president of wealth management strategies at People’s United Bank in Bridgeport, Connecticut. Max out your workplace retirement plans. The highest-scoring workers were twice as likely to contribute the maximum amount to their workplace retirement plan than lowest-scoring workers. The top savers were also more likely to at least contribute enough to their retirement plans to receive their employer’s matching contribution. It’s free money. Read more via 7 habits of highly effective retirement savers. How long can most people live without money? Not long. And it may be a long time before your new business actually makes any profits. Being employed while you’re starting a business means money in your pocket while you’re going through the starting a business process. You need a support system while you’re starting a business (and afterwards). A family member or friend that you can bounce ideas off and who will listen sympathetically to the latest business start up crisis is invaluable. Even better, find a mentor or, if you qualify, apply for a business start up program such as The Self-Employment Program. When you’re starting a business experienced guidance is the best support system of all. Remember, you don’t have to work through a full scale business plan for each new business idea you come up with; my Quick-Start Business Plan, for instance, will let you test the potential of your business idea much more quickly. On the other hand, just because you’re starting a business, doesn’t mean you have to be an expert on everything. If you’re not an accountant or bookkeeper, hire one (or both). (These Tips for Finding a Good Accountant may be useful.) If you need to write up a contract, and you’re not a lawyer, hire one. You will waste more time and possibly money in the long run trying to do things yourself that you are not qualified to do. It’s much more difficult and expensive to unsnarl a mess afterwards. Does your business need to be registered? Will you have to charge GST or PST? Will you have to have Workers’ Compensation Insurance or deal with payroll taxes? How will the form of business you choose affect your income tax situation? Learn what your legal and tax responsibilities are before you start your business and operate accordingly. via Top 10 Tips for Starting a Small Business. The federal minimum wage for covered nonexempt employees is $7.25 per hour effective July 24, 2009. The federal minimum wage provisions are contained in the Fair Labor Standards Act (FLSA). Many states also have minimum wage laws. In cases where an employee is subject to both state and federal minimum wage laws, an employee is entitled to the higher of the two. On February 12, 2014, President Obama issued Executive Order– Minimum Wage for Contractors, which increases the minimum wage for employees under a federal contract that becomes effective on or after January 1, 2015. The Executive Order increases the minimum wage for those employees covered under its provisions to the higher of either $10.10 per hour or the state or local prevailing wage. Employees covered are those who are employed by contractors, subcontractors, or under a contract-like instrument for services or concessions that are covered under the Davis-Bacon Act, Service Contract Act, and any other related acts, such as the Fair Labor Standards Act. In the upcoming year, it is likely we will see many states adjusting their minimum wage rates. Impact on Employers: Employers must comply with these minimum wage laws and should review their employees’ hourly rates of pay and make any necessary adjustments to bring their employees to the correct minimum wage if they have not already done so. Please take careful note of the effective dates, as they may vary by state. via 2014 State Minimum Wage Adjustments Require Careful Employer Review | ADP@Work Blog. Is your business easy to do business with? The answer could impact your revenue as well as your reputation for service. Here are a few tips to help you stand in your customer’s shoes for just a few minutes to answer those questions. What do you notice first? Is the website simple or cluttered? Is your sign rusty and crooked or new and attractive? Do you need to make any changes based on what you see? If they walk in, how are they greeted? What does your waiting room look like? Read more here: How Painless Is Your New Customer Experience? | Your Administrative Solutions. According to the 2013 Private Companies Practice Section CPA Firm Top Issues Survey, succession planning is among the top five concerns for four out of five firm sizes. The 2012 PCPS Succession Survey, however, shows that only 46% of multi-owner firms have a written succession plan in place. A mere 6% of sole practitioners have a Practice Continuation Agreement with another firm. These numbers are concerning, and the consequences are real. As CPAs, we know it’s easier (and wiser) to plan for tomorrow before tomorrow comes. In the absence of a formal succession plan, your firm’s transition could lead to confusion and oversights, resulting in the loss of time, money and clients. Firms, and especially their clients, need new leaders and a clear plan to ensure uninterrupted delivery of critical services. (read more at: Succession Planning: The Talk You Need to Have – AICPA Insights. The bonus depreciation tax break is set to expire on December 31st, and the dollar limits for Section 179 are to drop from $500,000 with a $2.5 million to $25,000 with a $200,000 ceiling. Ashlea Eberling suggests that it makes sense to accelerate purchases before year’s end citing that under section 179 as it presently stands, a small business owner may deduct the entire cost of up to $500,000 of equipment that has a 20-year life. If you have turned full retirement age and are receiving your retirement and also still working full time, how does this effect your taxes? This is a pretty common scenario these days – and a popular question! •$0 for married persons filing separately who lived together during the year. Ask The Taxgirl: Taxing Social Security Benefits – Forbes. How much money does your company have available right now? That’s a question your cash flow statement can answer. As its name suggests, a cash flow statement charts the flow of money into and out of your business. It’s all about gauging liquidity — or cash on hand — so that you can make smart decisions about paying bills and buying additional assets or inventory. Let’s break down a typical small-business cash flow statement and review each of its sections. Print or view this sample statement [PDF] to follow along. 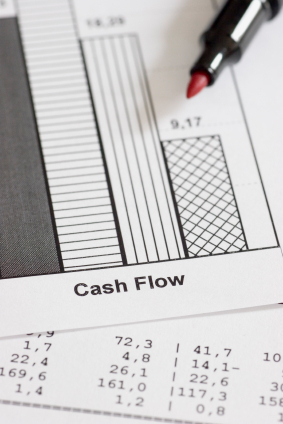 How to Read a Cash Flow Statement | Intuit Small Business Blog. With just about half of the year already in the books, now is the ideal time to take stock of your business activities year-to-date. This will enable you to take wise tax actions that will pay off on your tax bill when you file your 2013 income tax return next year. Also, make sure that your remaining estimated tax payments for 2013 are increased to avoid underpayment penalties. via Mid-Year Tax Planning: Do It Now to Save Later | SBA.gov.